It wasn’t named after the song by The Who? wait, I’m confused. How is it pretending to be hardware when it is hardware? 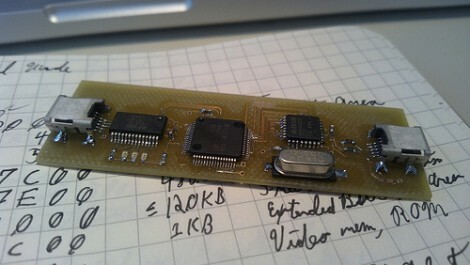 Basically one PC, the “victim” or “host” is presented with this Freedancer board — the Freedancer emulates ANY other USB device for the “host”. The other PC is used to support Python scripting for the high-level control of the Freedancer. Well you should be able to do this without hardware, or is there some limitation in libusb interaction with kernels? Given that the designer of the device is doing security/exploit work, I imagine that being able to poke the entire USB system(including the specific chipset and chipset driver) and being able to test any USB host device, regardless of OS cooperation, would be necessary features only available with a hardware device. Also, you can’t just assume that the hardware on the ‘victim’ end is a linux box, or anything you have full software-level control over. It could be a smartphone or a game console, for example. I’ve been thinking on it for years, but for a very limited purpose: providing network storage to a device that only accepts USB storage (a cheap set top box, for instance). I’ve been build one a few days ago. Since that I did some experiments on different targets. Windows, Linux, FreeBSD and many other operating systems can be targeted. It’s quite easy if you familar with Python. If you need help to build one up, let me know on my Blog. Anyone tried plugging both USB ports on the board into the same machine and using VirtualBox to control the device while using the host OS as the ‘victim’?